Every story needs a character. Any character you can imagine! Why not an octopus who wants to fly in a spaceship? Or who plays the ukulele? With a band of rocket scientists, for example. 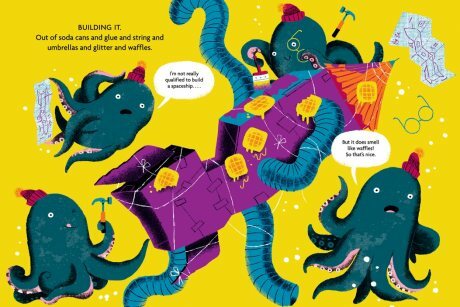 From Benji Davies, the illustrator of The Storm Whale and Grandad's Island, comes a meta-fictive story about ... well, about how to build a story! First, a story needs a character. 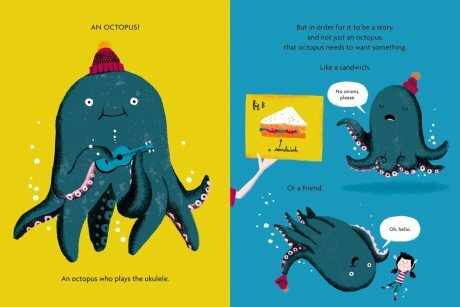 So why not a ukulele-playing octopus? 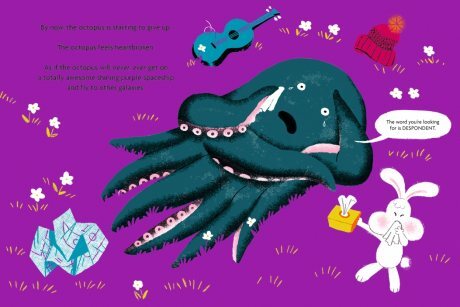 And since this is a story, the octopus has to want something - maybe it dreams of travelling to faraway galaxies in a purple spaceship. 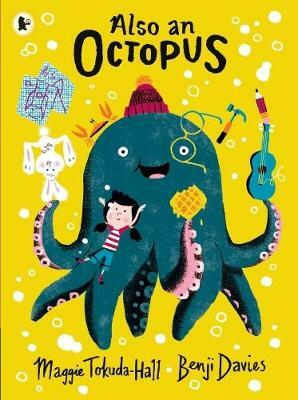 But every character needs an obstacle to overcome, and when the octopus sets out to build its own spaceship out of glue, umbrellas, glitter and waffles ...well, he doesn't have much luck. Could there be another character that could help? Debut author Maggie Tokuda-Hall sets up a funny, smart and warm-hearted story all about storytelling, then hands the baton to imaginative readers, who will be more than prepared to take it away. This innovative picture book has had Waterstones’ booksellers smiling, an original concept that puts children’s imaginations at the heart of the story and fires them to create ever more inventive new ideas. In association with our friends at Walker Books, we’re offering a John Lewis bedroom makeover worth £350 for your child, a signed copy of Maggie Tokuda-Hall and Benji Davies’ wonderful picture book Also an Octopus and a special, limited edition print. On top of these £350 of vouchers, Walker Books are also throwing in £150 of their own wonderful titles for you to enjoy with your family. For ten lucky runners up, we also have copies of Also an Octopus and a poster. I LOVE this book. 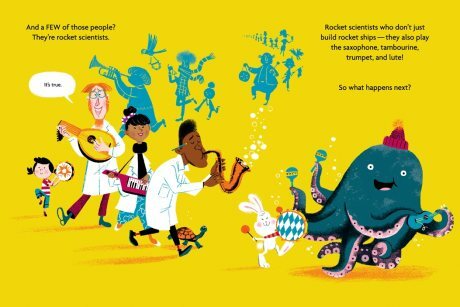 What's not to love about a ukulele playing octopus trying to build a space rocket? Rockets. Scientists. And a ukulele-playing octopus.